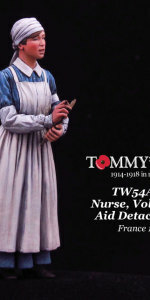 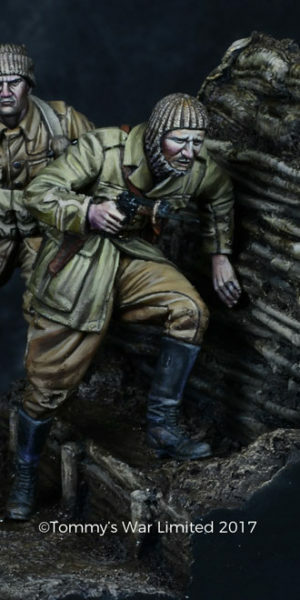 TW32036 is a Sergeant of the 1/8 (Irish) Bn King’s Liverpool Regiment (commonly known as the Liverpool Irish) during a Trench Raid in the Arras area during 1916. 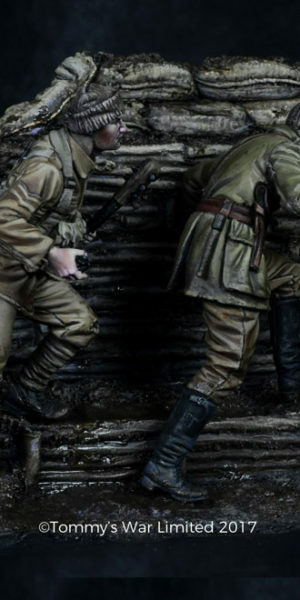 By the winter of 1915 both sides were firmly dug-in to what was to become a very static trench system, first developed by the Canadians trench raids formed an important part of front line warfare with the aim of gathering intelligence, disrupting the enemy and dominating the battlefield. 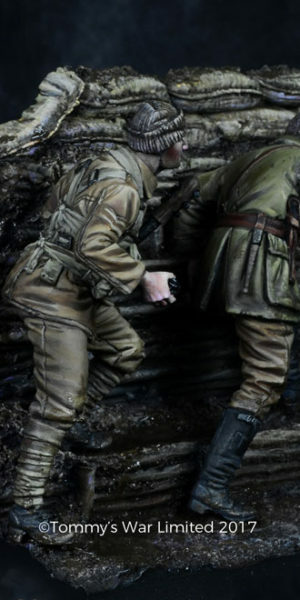 Soldiers were often specially trained for the task, with specific roles. 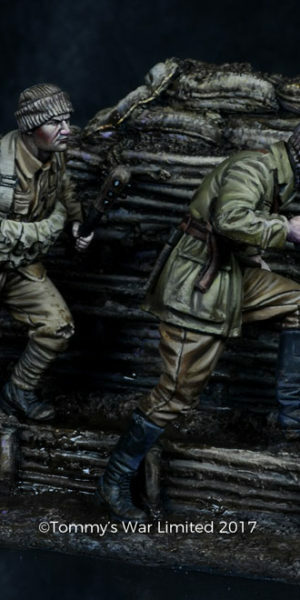 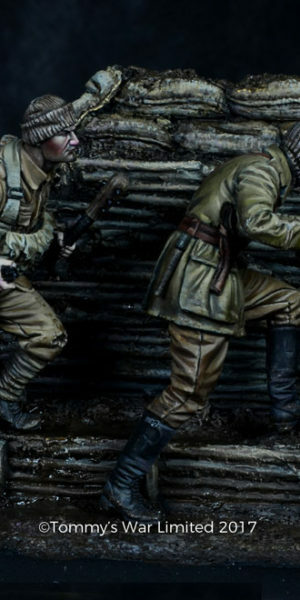 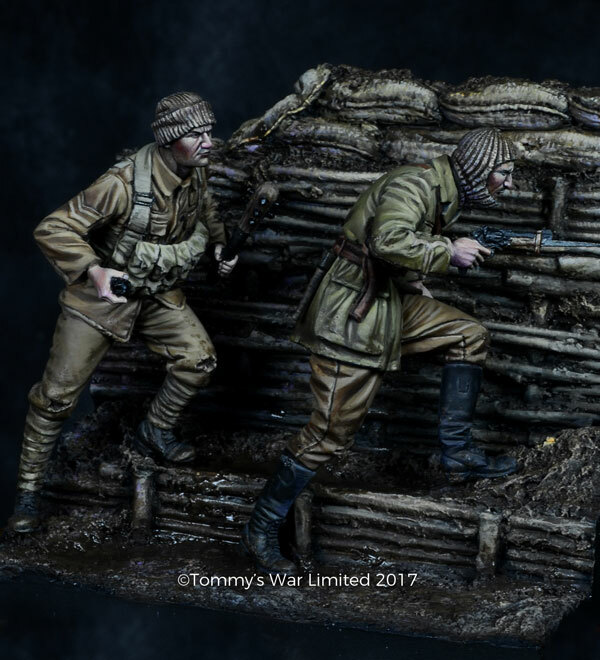 In this small diorama we see an Officer and Sergeant enter a German trench system at night, they are creeping up on the enemy. 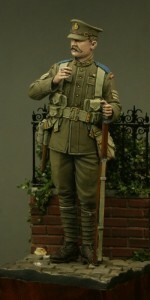 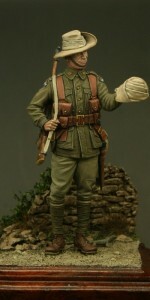 The Sergeant carries a mace and wears a Mills bomb vest capable of carrying 10 hand grenades while the Officer holds a Webley revolver with bayonet attached (an adaptation for this role). 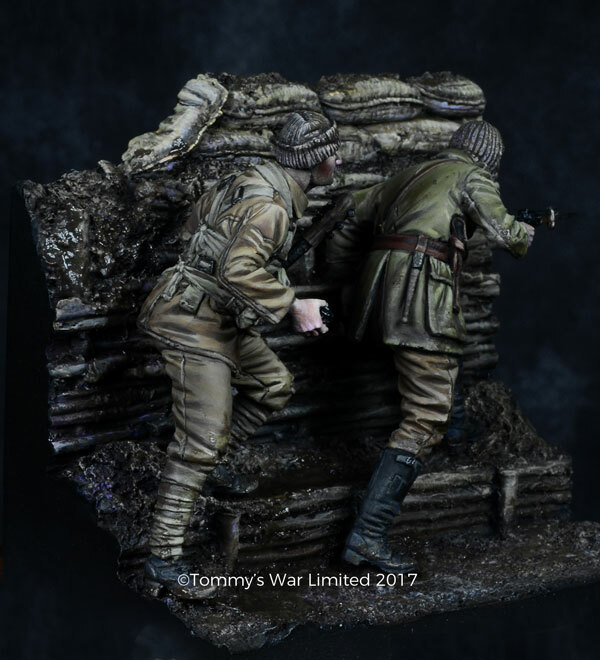 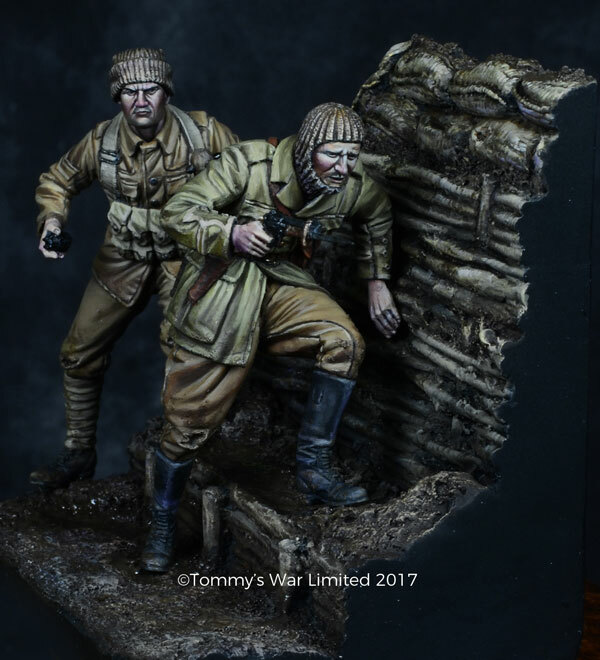 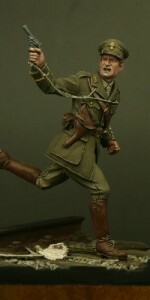 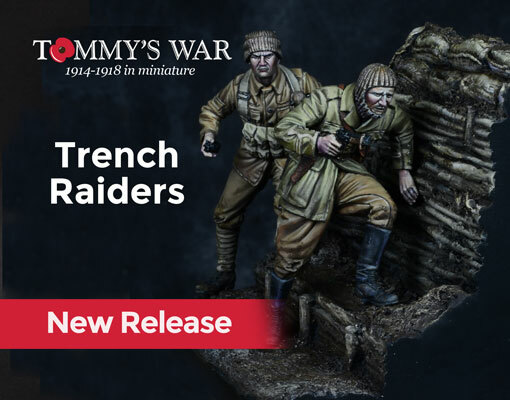 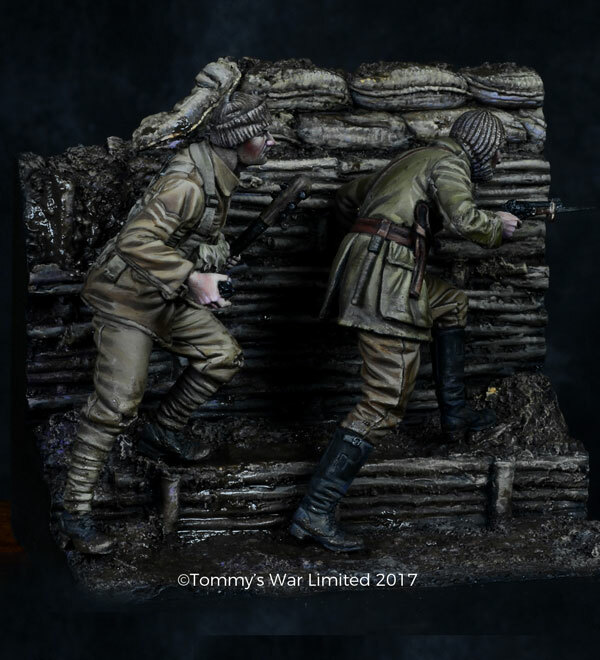 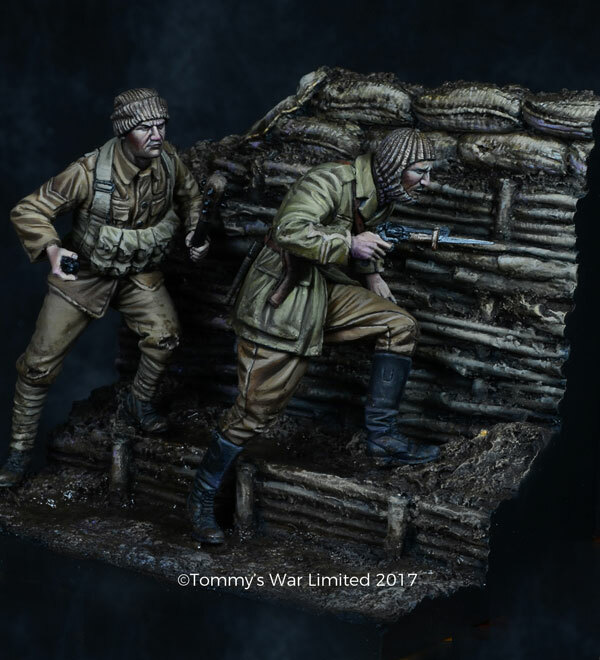 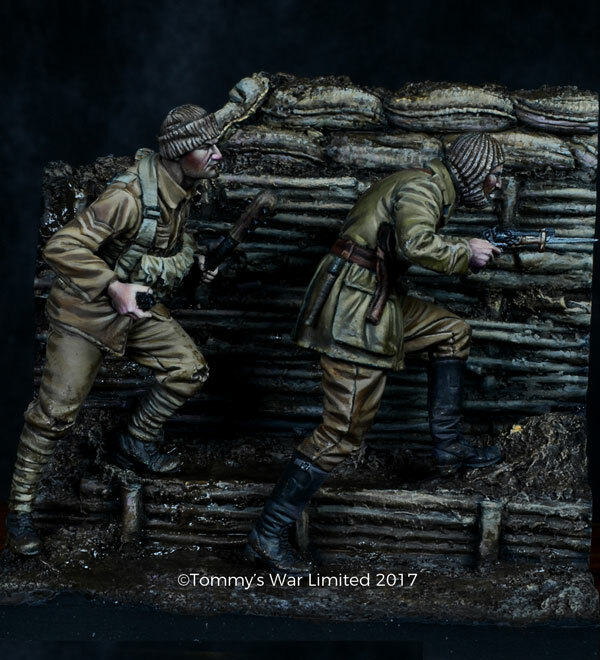 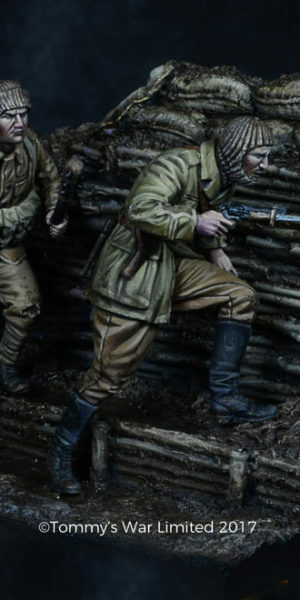 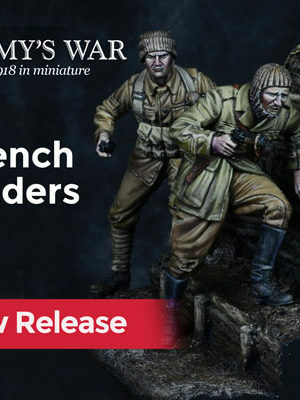 Sculpted by Nino Pizzichemi, this and its accompanying figure (TW32035, Captain) is perfectly complimented by our diorama base of a German trench section (TW32DIO1) which is shown in these images but not included.